Wormseed is an annual or perennial herb that grows up to a height of five feet and has a straight stem, which is slightly woody at the bottom and has a potent smell. 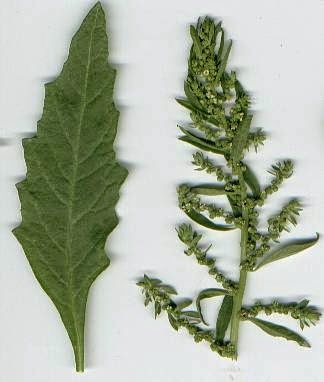 The leaves of wormseed appear alternately on the erect stem and are roughly toothed and shaped like a lance. The herb produces thick spines of minute green-hued flowers during the period between August and November at the leaf axils. The wormseed fruit is perfectly enclosed in the calyx, obtusely angled, the seed smooth and shining, the embryo forming about three-quarters of a ring around the mealy albumen. The whole herb has a strong, peculiar, somewhat aromatic odour, which is due to the presence of a volatile oil and is retained on drying. The leaves have been used in place of tea in Mexico. During the 19th century, the simple, potently-smelling wormseed was a popular herbal remedy and it was during this time that the official medicine in North America distinguished wormseed as an extremely effectual medication for treating hookworm and roundworm. Nevertheless, the official recognition for wormseed was very belated. For several hundred years, native Indian tribes of North America were aware of this herbal remedy that works to paralyze the aberrant intestinal worms. A potent laxative given to the patients following the wormseed's effect with a view to flush out the dead/ paralyzed parasites from the body along with feces. Wormseed, especially the seeds of the herb, encloses an effective substance known as chenopodium oil - in effect, it is found in concentrated amounts in the seeds. For over a century, wormseed was listed in the United States Pharmacopeia. It was long customary for the seeds to be administered in the form of a powder, or an electuary, but although the activity of the seed is unquestioned, it has now been entirely displaced in America by the volatile oil obtained by distillation from the crushed fruits, to which the medicinal importance of the fruit is due. However, lately, physicians have stopped recommending the use of wormseed, as it has been found to cause occasional side effects detrimental for our health. The side effects caused by the use of this herb may include nausea, light headedness and even paralysis and untimely death. Although wormseed is used for a number of therapeutic purposes, it is basically reputed for its effectiveness in expelling parasites or worms, particularly hookworms and roundworms. Apart from expelling worms, in the Americas, this herb is employed to treat digestive disorders and is usually taken internally to alleviate stomach and colic aches. It may be noted that the leaves of wormseed possess antispasmodic attributes. A decoction prepared with the leaves of wormseed or the entire plant provides relief to various gastrointestinal disorders. Wormseed is also applied topically and the juice extracted from the whole plant is applied to cleanse hemorrhoids. Besides these attributes, the whole wormseed plant is believed to be effective in healing wounds. 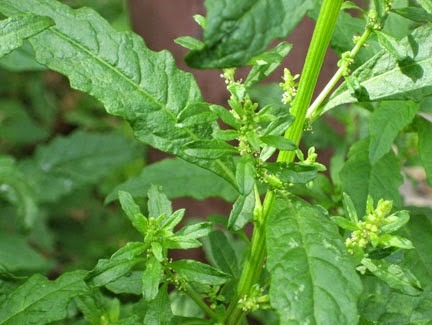 The wormseed oil has been recommended in the treatment of malaria, chorea, hysteria and other nervous diseases.The plant has been employed, under the name of Herba Sancti Mariae, in pectoral complaints, as an expectorant, in catarrh and asthma. Indians inhabiting Yucatan, state in the north western part of the Yucatán Peninsula, have employed wormseed for expelling different intestinal parasites, treating surplus mucus, asthma, chorea (a sort of rheumatic fever which has its consequences on the brain) as well as other nervous disorders. The Indians of Tikuna in the Amazon region also use wormseed to expel intestinal worms as well as in the form of a gentle purgative. Similarly, the herb was used for the same purpose by the Indians of South America. In contemporary Peruvian herbal medicine, wormseed is used for the same conditions as in the Brazilian herbal medicine. The inhabitants of Peru's Amazon region also immerse the herb in water for many days and use the liquid for external application to treat arthritis. In the north-west Peruvian city of Piura, people prepared a decoction with the herb's leaves and used it to force out intestinal gas, as a gentle purgative, in the form of an insecticide as well as a natural medication for treating gout, cramps, hemorrhoids, nervous disorders and to expel intestinal parasites and worms. A number of native tribes also used to bathe in the decoction prepared with wormseed leaves with a view to lessen fever as well as threw a few freshly dug up green wormseed plants into their fires to repel flies and mosquitoes. All over Latin America, wormseed is a popular domestic medication in herbal medicine system and it is used to treat intestinal worms, parasites and amoebas in children as well as adults. In addition, the wormseed plant also has culinary uses in several Latin American regions. Consuming food cooked with wormseed plant is believed to help avoid intestinal gas, provided the leaves of the plant are cooked or consumed with beans and other foods that form gas in the stomach and intestine. For long the leaves as well as the seeds of wormseed plant have been used in the South and Central American herbal medicine in the form of a vermifuge (any substance that helps to flush out intestinal worms and parasites). Wormseed is regarded to be a very effective medication for expelling intestinal worms, particularly roundworms, hook worms and tape worms, in Brazilian herbal medicine. In addition, wormseed is also used to treat asthma, cough, bronchitis and other complaints of the upper respiratory system in Brazilian herbal medicine. It is also use to induce sweating, provide relief from intestinal gas as well as a common digestive remedy. Elsewhere in South American herbal medicine systems, wormseed is also used to treat bronchitis, asthma, dysentery, diarrhea as well as menstrual problems. Preparations with wormseed are also applied externally to cleanse/ wash wounds, bruises, fractures and contusions (an injury wherein the bone is not broken). It has been found that the propensity of wormseed to exorcize intestinal worms is owing to the essential oil contained by its seeds as well as the ‘Oil of Chenopodium', which has be utilized for many centuries across the globe as a medication for treating worms. There was a time when wormseed was listed in the United States Pharmacopoeia as a medication to combat amoebas, hookworms and roundworms. However, the medicinal dosage of the essential oil has certain toxic after effect and, hence, many years back, it was no longer preferred as a medication for internal use. Ingesting about 10 mg of wormseed essential oil is said to result in cardiac problems, respiratory disorders, convulsions/ seizures, insomnia, debility, vomiting as well as untimely death. As the essential oil of wormseed, which is generally distilled from the seeds, is of toxic nature, currently it is not recommended for therapeutic use any more. On the contrary, the leaves of wormseed, which enclose a very insignificant amount of essential oil, are preferred for naturally treating parasites in the different herbal medicines in the present times across the globe. Therefore, it is advisable that you find a supply of only the leaves of wormseed and not the whole plant, which encloses sufficient amount of seeds containing the toxic essential oil. However, it may be noted that the amount of essential oil contained by a wormseed plant essentially depends on the time of the year when the herb was harvested. Most herbalists and practitioners of herbal medicine suggest drinking half a cup of the normal wormseed leaf decoction on an empty stomach in the morning for three consecutive days to treat parasites and intestinal worms. When the regimen of wormseed is over, a gentle laxative is given to the patient on the fourth day of the treatment with a view to flush out the dead and paralyzed worms and parasites along with feces. This cycle is followed once again two weeks later to treat any remaining worms or worm eggs that may have survived during the earlier treatment with wormseed and hatched. Wormseed is unsafe when taken by mouth. Some people have died after taking less than 10 grams of the herb. Symptoms of poisoning are possible even in the low amounts used to treat parasitic infestations. These symptoms include diarrhea, vision problems, kidney problems, muscle twitching, and seizures. People using wormseed or its constituents or formulations should do so with caution. The herb as well as the essential oil enclosed by it should never be given to pregnant women or nursing mothers. It may be noted that the wormseed plant not only has toxic actions, but it also has been traditionally used to persuade abortions. Hence, when it is given during pregnancy, wormseed may result in forced abortions or harm the fetus. Although several native tribes of North America have traditionally employed wormseed in the form of a contraceptive, no clinical research has corroborated this particular use of the herb and, hence, one should not depend on it for this purpose. Nevertheless, the use of the herb is banned for couples who are planning to have a child. Meanwhile, the essential oil enclosed by wormseed is regarded as highly toxic and should never be used internally.